Russell Brand is a well-known comedian, political activist, author and presenter who has achieved worldwide fame. He has overcome various addictions, and is now a major advocate for mental health through his books and stand-up work. Who is Russell Brand, how old is he, when is his birthday, how tall is he and what is his background? The 42-year-old comedian was born on June 4, 1975, in Grays, Essex. Standing at 1.85 metres and with his distinctive shaggy hairstyle, Brand strikes a lean and unique figure. Born an only child, he endured a difficult childhood, living with relatives while his ailing mother Barbara Elizabeth was treated for cancer, with occasional visits from his father Ronald Henry Brand. Later, Brand developed a severe dependency on drugs and illicit behaviour, which he eventually overcame, going on to aid others in their own recovery from addiction. Why is Russell Brand famous and what is his occupation? Brand has worn many hats over the course of his career, but began as a stand-up comedian and eventually presented Big Brother’s Big Mouth. He has also worked as a guest editor for the New Statesman. 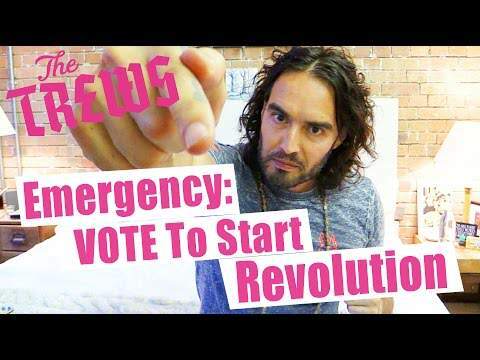 As a political activist he has addressed issues such as financial inequality, addiction, capitalism, and the media on his own political comedy web series, The Trews. 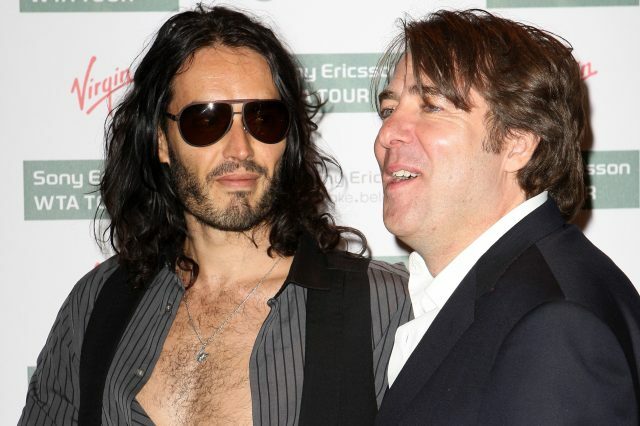 Brand has written a large number of articles online, and several books including the children’s book The Pied Piper of Hamelin: Russell Brand’s Trickster Tales. He recently published Recovery: Freedom from Our Addictions in September 2017 about his methods for breaking free from addiction. What is Russell Brand’s net worth? Brand has an estimated net worth of $15 million dollars. Much of this income can be attributed to his work in film and television, but also includes earnings from lucrative book deals and ticket sales for live comedy appearances. How much does Russell Brand earn? 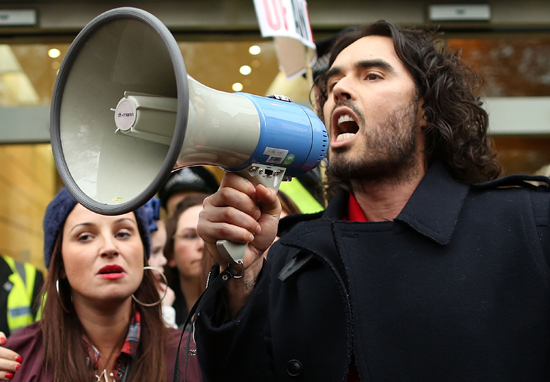 Russell Brand’s earnings vary because of his array of ventures and long-spanning career. How much does Russell Brand weigh? The comedian reportedly weighs 163 pounds or 74kg. Where does Russell Brand live? After some time living in Los Angeles, Russell Brand now lives in Shoreditch, London, with his wife and daughter. Does Russell Brand have any children, how old are they, when did he become a father? In July 2016, the star announced on Instagram that he and his partner, Laura Gallacher, were expecting their first child. On November 6, 2016, his daughter Mabel was born in London. Did Russell Brand marry Katy Perry, how long were they together for, how did they meet, when did they get engaged, why did they break up? In 2009, during the filming of Get Him to the Greek, pop singer Katy Perry filmed a cameo with Brand. Their first meeting took place while filming the scene together. Unfortunately, the scene ended up being cut, and the two didn’t officially become a couple until later that year at the 2009 MTV Video Music Awards (VMAs), which Brand was hosting that year. Is Russell brand touring in 2018? Yes, Russell Brand is touring the UK and Ireland with his show Re:Birth from April 2018, and will be about his personal life, becoming a father ‘modern media’ and other issues important to the British star. Who is Russell Brand married to, when did he get married? He reportedly married Laura Gallacher in late August 2017. Did Russell Brand sing in Get Him to The Greek, can he sing? The actor did all the singing for the film’s fictional band, Infant Sorrow, and filmed some of his scenes performing as singer Aldous Snow during his stand up comedy performances at the O2 Arena in London. Who else has Russell Brand dated, when did they go out, why did they break up? The comedian and author has dated his share of stars. Among them is Spice Girl Geri Halliwell, whom he dated in 2012, Australian actress Teresa Palmer, supermodel Kate Moss and Hole lead singer Courtney Love. What was Russell Brand’s first film, what films has he been in, how was he discovered as an actor? Brand’s first film role was as Flash Harry in the British comedy film St Trinian’s, which was quickly followed up with memorable roles in Forgetting Sarah Marshall and Get Him to the Greek. What TV shows has Russell Brand been in? Much of his work has been as a presenter for MTV and Big Brother. However, he launched his television acting career as a teenager with guest spots on series’ like The Bill and Mud. He later made appearances on other programmes such as Cruise of the Gods and the BBC comedy Blessed.